There isn’t a week that goes by without you receiving any SMS or call for a personal loan. The entire world seems to be very keen on selling you a personal loan. But the main question is, should you opt for one? What is it that a personal loan can offer you that any other loans can’t? Is this all a gimmick or is it a product worth spending your time one? Well, the following are four biggest advantages of opting for a personal loan, so that you can answer all the above questions for yourself. Unlike a car loan that can only be used to buy a car or a home loan which allows you only to buy or renovate a house, a personal loan can be used for anything. Of course, there is some exclusion such as usage of funds for criminal activities and such, but for the most part, there are almost no restrictions. If you are stuck in a medical emergency and need access to a large amount of cash instantly, a personal loan is your best bet. Yes, withdrawing cash from your credit card or swiping it might seem like an easy option, but we all know about the massive interest rates that come along with credit cards. What if you have some other commitments that lenders usually don’t cover, such as a marriage or to pay for a trip that you had been planning for a long time. It might so happen that your house is now a good five-six years old and you want to revamp the interiors. These are some of the expenses you will find difficulty in getting a specific loan for. A personal loan will easily cater to such needs and more without asking you too many questions. If you have had experience with loans, you would be well aware of the documentation that comes along with it. Though there is nothing wrong with them, they can get a bit cumbersome at times, especially when you need it as an emergency. This is where a personal loan shines as a product. Right from the moment you apply for a personal loan to the time the bank disburses the same, there is minimal documentation involved. Most of the banks allow you to fill up the application form online and the amount is disbursed within a very short span of time. This makes personal loan one of the easiest to acquire in case of emergencies. Almost all loan types require some form of collateral. A collateral gives the banks or lenders confidence that they will be able to retrieve the money in case you default the loan. For example, if you are unable to repay the loan amount of your car, if no other way works out, the bank will take over your car and try to sell it to get its loan amount back. But with a personal loan, none of these situations come into the picture. This is also why a personal loan is put in the category of unsecured loans. A lot of us either have a credit score not good enough to write home about or just are non-existent in the credit score playfield. A personal loan can be instrumental in helping you out in such situations. Opting for a personal loan and repaying the installments at the designated time frames can help you enhance your credit score. 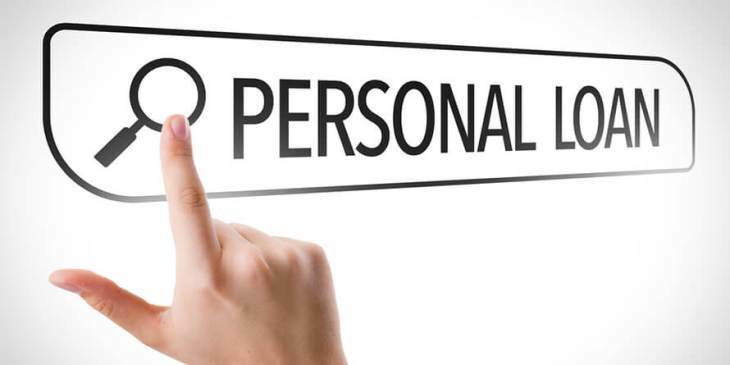 Yes, a personal loan has the potential to be a very handy tool if used wisely. It can get you out of tight situations and with a hassle-free experience, which you are yet to see with any other loan types.